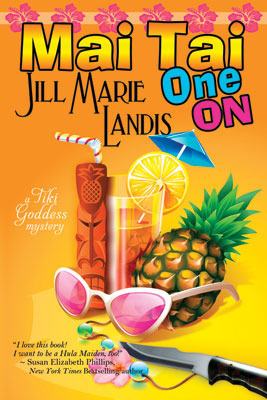 Jill Marie Landis has written a winner with Mai Tai One On, the first book of the new Tiki Goddess series. Put on your puka shell necklace, grab a mai tai and get ready for a Hawaiin vacation! This book has all the ingredients for a summer fun read or a cold, "I wish I were in Hawaii", winter read. There is the exotic location, suspense with a couple of murders and kidnappings to solve, romance and the laugh out loud antics of, my favorite dancers, The Hula Maidens. Reading the final chapter I couldn't help but wish the second book was already available. I love this book! As if all that isn't bad enough, when an obnoxious neighbor with a grudge is found dead in the Goddess luau pit, suspicion falls on Em and the rest of the Goddess staff. With the help of a quirky dance troupe of over-the-hill Hula Maidens, Em and the cast of characters must ban together to find the killer and solve the mystery before the next pupu party. Please see http://thetikigoddess.com/ for more on this sizzling new series! Awesome! Stop in Juneau and we can get some coffee, (or something) while I interview you. LOL. 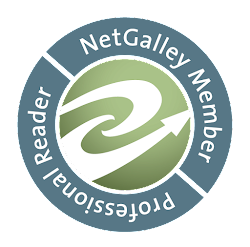 I am looking forward to reading your stories! Sounds like a plan! ;) And thanks so much!